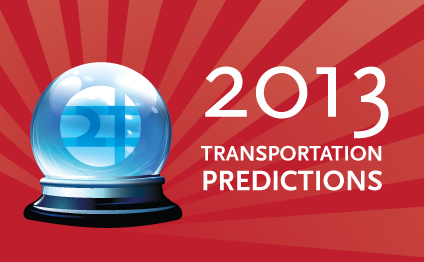 As 2012 comes to a close, we asked Mobility 21 board members to make predictions for transportation in the coming year. 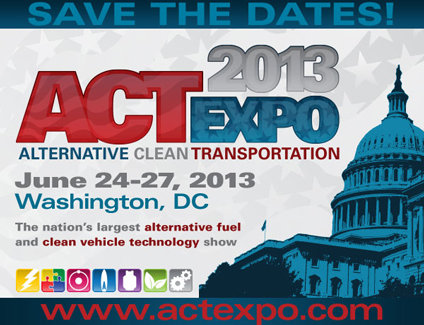 What do you think 2013 has in store for transportation? Click here to share a comment on our website. It’s official — Congressman Bill Shuster (R-PA) will serve as Chairman of the House Transportation and Infrastructure Committee in the 113th Congress. One of the largest committees in Congress, the Transportation and Infrastructure Committee currently has jurisdiction over all modes of transportation — aviation, maritime and waterborne transportation, roads, mass transit and railroads. 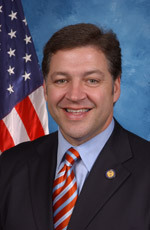 Mobility 21 looks forward to working with Congressman Shuster, a strong supporter of goods movement, in developing the next federal transportation bill. 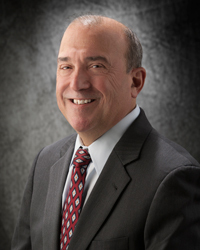 As Michael DePallo settles into his new role as CEO of Metrolink, Mobility 21 asked him to share his goals for the agency in the coming year and his insights on the future of commuter rail in Southern California. M21: What are your top priorities and goals your first year as Metrolink CEO? MD: My primary goal is continuing and expanding upon the expansive work Metrolink has already accomplished in the areas of safety and security. Recently, the National Transportation Safety Board identified the implementation of positive train control (PTC) by rail agencies as a top priority in 2013. Metrolink has been recognized as a national leader in this area, while full implementation is on schedule for next year. We are on track to be the first commuter rail provider to have PTC. Metrolink being a leader of this technology was one of the most engaging organizational aspects when deciding to become the agency’s CEO. Another top priority for Metrolink is the procurement of Tier 4 locomotives. In December, we anticipate bringing a recommendation to the board of directors for their consideration. The new locomotives will provide for added safety, reliability of schedules and equipment sustainability for passengers. On-time performance is a part of Metrolink’s mission. I also want to improve our customer service. Metrolink already provides outstanding service, but I am continually looking for ways to improve our passengers’ experience. I am looking forward to getting out and riding our trains and engaging with our riders. I rely on their comments, and those of our front line staff, to make needed changes. M21: How do you envision Metrolink’s role in Southern California’s future transportation network? MD: I envision Metrolink as the centerpiece of public transportation in Southern California. A Metrolink ticket is already considered a golden pass to hundreds of connections. People can transfer to dozens of different city buses, shuttle buses, a light rail system and subway lines. Most of these connections are free with your valid Metrolink ticket. For people to gain a better understanding of how they can go virtually anywhere throughout our region, I encourage everyone to visit metrolinktrains.com. Our riders will see the connections in Los Angeles, Orange, Riverside, San Bernardino, San Diego and Ventura counties available to them. As we expand our service, we are working collaboratively with our partner agencies to provide a comprehensive network. This will lead to more and more people selecting public transportation as their mode of choice to get to work, and travel throughout Southern California. M21: As funding to operate new rail service continues to be scarce, how will Metrolink increase ridership and enhance existing service? MD: We need to continue to be innovative in our operations, which leads to additional funding and minimized expenses. Metrolink is continually striving to be more efficient and effective. This effort leverages our efforts in securing grants from local, state and federal programs. Metrolink faces additional challenges with the complexity of our agency design. As a joint powers authority, we are governed by our five member agencies (Los Angeles County Metropolitan Transportation Authority (METRO), Orange County Transportation Authority (OCTA), Riverside County Transportation Commission (RCTC), San Bernardino Associated Governments (SANBAG) and Ventura County Transportation Commission (VCTC)). This dynamic offers opportunities to identify priorities that are beneficial to all parties. Having been the Director and General Manager of the Port Authority Trans Hudson Corporation (PATH) for the past 16 years, I see the possibility of hundreds of thousands of people using public rail systems. At PATH, we provided more than 260,000 passenger trips a day between Manhattan and New Jersey. We need to make public transportation a greater priority for the people of Southern California by making it easier to get to more places. M21: How will you maintain and build upon the safety culture at Metrolink? MD: As I indicated in my priorities and goals, safety is paramount. Safety is one aspect this agency discusses daily. Prior to meetings, a safety brief is given. Prior to events, a safety brief is given. Our operations staff conducts a series of calls every morning and a safety update is provided. Metrolink leads the nation in rail safety technology innovation. Positive Train Control will complement Metrolink’s implementation of Crash Energy Management Technology, inward and outward-facing cameras on trains and grade crossing enhancements we have already put into place. In all circumstances, safety is always an element taken into consideration. I will continue to emphasize this as a priority. 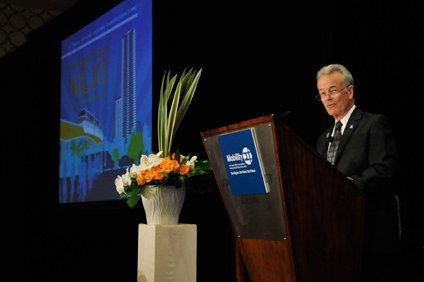 OCTA CEO Will Kempton served as the Mobility 21 Chair in 2011 and helped lead the coalition’s charge to encourage Congress to cut red tape and get transportation projects moving again through the Breaking Down Barriers initiative. Will Kempton, CEO of the Orange County Transportation Authority (OCTA) and Mobility 21 Board Member, has announced he is retiring from the agency and plans to continue his work in the field by leading a statewide non-profit dedicated to transportation advocacy and education. Kempton, who has led OCTA since August 2009, has accepted the position of executive director for Transportation California and plans to leave the agency on Feb. 28. OCTA Chairman Paul Glaab thanked Kempton for his time at the agency and said the board will begin the process of planning for a successor. Kempton successfully led OCTA during the worst economic period in the agency’s history. He guided OCTA through difficult service reductions and despite a substantial drop in revenues, Kempton ensured the promises of the Measure M half-cent sales tax program were delivered to voters and will continue on that path through the Measure M2 timeframe. During the past three years, nearly $2 billion in transportation projects have been completed or started, resulting in thousands of private-sector jobs in construction, engineering and related fields at a time when they are desperately needed. In addition, Kempton spearheaded OCTA’s first five-year strategic plan, which redefined OCTA’s vision, mission and goals and created performance metrics to ensure the highest levels of accountability and transparency to the public. OCTA Director Bill Campbell, chairman of the Finance and Administration Committee, praised Kempton for his service to the agency. Measure J, Los Angeles County’s proposed extension of the existing half-cent sales tax for transportation, is likely to fall short of the the necessary two-thirds majority needed to pass. Approximately 70,000 ballots have yet to be counted and as of Wednesday, the measure has 65.88 percent approval, just shy of the 66.7 percent needed. 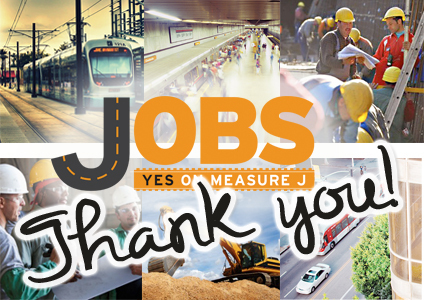 Measure J would extend Measure R for another 30 years, allowing Metro to accelerate the construction of up to seven transit and eight roadway projects and create more than 400,000 jobs. The Port of Long Beach’s Green Port Gateway project will enhance on-dock rail service to quickly and efficiently handle transporting containers between ships and trains. Construction is scheduled to begin this month. In September, the Long Beach Board of Harbor Commissioners awarded a $36.8 million construction contract for the Green Port Gateway, a railroad project designed to enhance the Port of Long Beach’s capacity for on-dock rail — which cuts down on truck traffic and air pollution. State and federal funds helped to pay for the Gateway, designed to serve terminals like the $1.2 billion Middle Harbor, currently under construction. The Green Port Gateway includes a major track realignment and development of a rail support yard. The U.S. Department of Transportation’s TIGER III — Transportation Investment Generating Economic Recovery — program provided $17 million and the state’s Proposition 1B Trade Corridor Improvement Fund (TCIF) provided $31.75 million for the project. In addition to the construction contract, the total cost includes engineering design, utility relocation and construction management. “We’re grateful to our state and federal funding partners for their help with this important project. The Green Port Gateway is an important component of the port’s overall modernization project. It will allow us to move cargo more efficiently,” said Susan E. Anderson Wise, President of the Long Beach Board of Harbor Commissioners. The Notice to Proceed was issued on Nov. 19 and construction is expected to continue until July 2014. The project includes demolition and removal of existing tracks, laying of 29,000 linear feet of new tracks and building of 6,000 linear feet of retaining walls. The improvements will minimize derailments and optimize rail traffic flow to and from waterfront terminals. The contractor is Ames Construction Inc. of Corona. The Green Port Gateway Project is the first of four rail projects expected to begin over the next year to enhance on-dock rail, which allows terminals to load containers right on their facilities rather than having them trucked to rail yards outside the port. 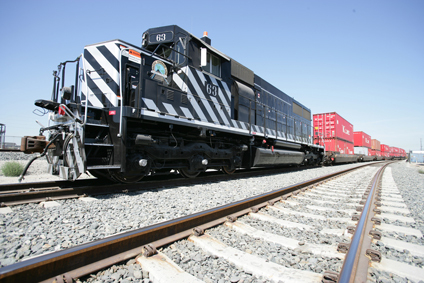 It’s also part of the larger San Pedro Bay Ports Rail Enhancement Program, which includes several projects by the Port of Long Beach, the Port of Los Angeles and the Alameda Corridor Transportation Authority. Overall, the Port of Long Beach has $4.5 billion in capital improvement projects planned or underway this decade. 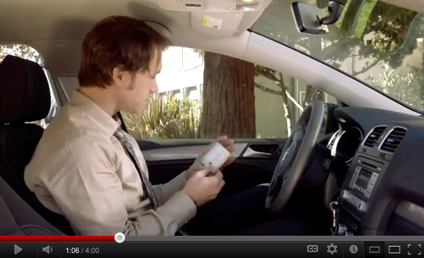 Click here to follow Jason as he discovers the benefits and rewards of using the Metro ExpressLanes during his daily commute. Following the successful opening of 11-miles of Metro ExpressLanes along the Harbor Freeway (I-110) and with more than 50,000 Fastrak® ExpressLanes transponders issued, motorists began seeing messages on the giant display message boards along the San Bernardino Freeway (I-10) in preparation for the opening of the ExpressLanes along this stretch of freeway in early 2013. Metro, in partnership with Caltrans, is embarking on a one-year demonstration program that converts 11 miles of High Occupancy Vehicle (HOV) lanes on the I-110 between the Riverside Freeway (SR-91) and Adams Boulevard near downtown Los Angeles and 14 miles on the I-10 between Union Station/Alameda Street and the I-605 Freeway to High Occupancy Toll (HOT) lanes that allow solo drivers to use the lanes for a toll. The Harbor Freeway ExpressLanes opened to the public on Saturday, Nov. 10. The Metro ExpressLanes program is a $290 million project funded by a $210 million federal grant by the U.S. Department of Transportation as part of the Congestion Reduction Demonstration Program. Nearly $120 million is going towards actual construction costs associated with the toll lanes. The remainder of the money is being used to improve various transportation hubs along the two corridors including the Harbor Gateway Transit Center along the I-110 and the construction of a new El Monte Station along the I-10. In addition, the project funded the purchase of 59 new clean fuel buses to provide additional bus service along the two corridors and 100 new vanpools. The Port of Long Beach is hiring! Under the direction of the Port of Long Beach of Transportation Planning, the Transportation Development Manager is responsible for managing highly complex and technical transportation programs and initiatives, developing annual legislative transportation priorities and serving as the port’s liaison with outside agencies on transportation issues. Click here to find out more about the Transportation Development Manager position. The San Bernardino Associated Governments (SANBAG) Board of Directors awarded a $36 million construction contract for the I-15/Ranchero Road Interchange in Hesperia to Security Paving, Inc. Construction will start in January 2013 and will take approximately two years to complete. The project received $25.7 million from the California Transportation Commission (CTC) in May 2012 from remaining funds from other state transportation projects that had come in under budget. One of the CTC stipulations was that a project must be near construction and the contract must be awarded by December 2012. Since this project fit that criteria, SANBAG and the City of Hesperia took the opportunity to receive the funding and expedite the overall $44 million project. Special 10% Discount for Mobility 21 Members! The 13th Annual California Maritime Leadership Symposium (CMLS), scheduled for February 20-21, 2013 at the Sacramento Convention Center, has become one of the premier events focused on briefing Sacramento’s policymakers on key matters related to the entire Maritime Transportation System. It is the only comprehensive forum for port executives, commissioners and other stakeholders across the state to seek resolution to the growing challenges the Maritime Transportation System faces. The California Maritime Leadership Symposium is hosted by a broad-based coalition of the maritime industry. Visit the California Maritime Leadership Symposium registration page by clicking here. When prompted to “Enter Promotional Code” under the “Ticket Information” section of the registration page, please enter “PartnerM21” for your registration discount. Mark your calendars! 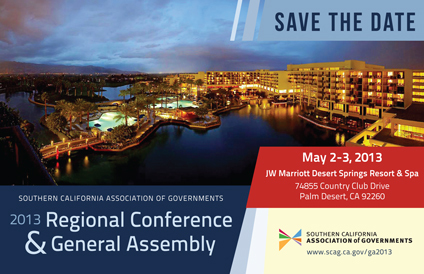 The Southern California Association of Governments’ (SCAG) 2013 Regional Conference and General Assembly will be held May 2-3 at the JW Marriott Desert Springs Resort and Spa in Palm Desert.